The room fell silent when a woman in my mother’s group told us, with a tremor in her voice, that she was flying on her own with her six-month-old son to Argentina. And that there were no bassinets left on the fully booked twenty-six hour flight. And that she would have to hold him the whole time. Alone. We were all stunned – the task ahead of our friend was terrifying. 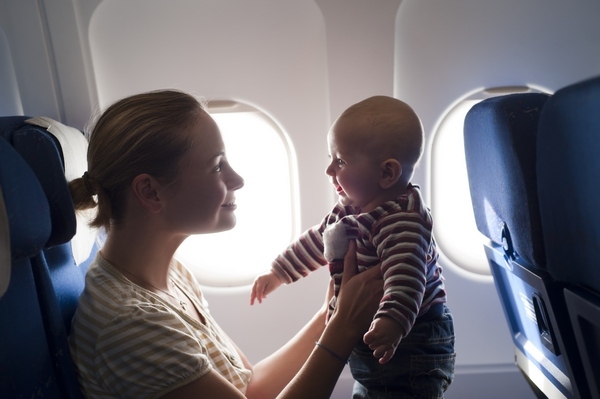 Plane trips with a baby or kids can be daunting. 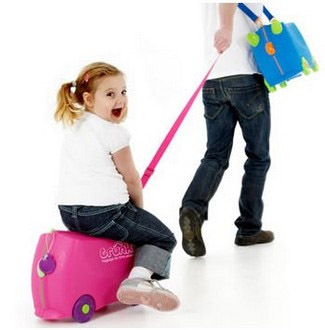 There are oodles of travel websites with tips for travelling with children. If you have a flight planned, it certainly pays to get your hands on as much information as you can because the main theme of all of the advice on offer is ‘preparation, preparation, preparation’. So aside from ‘pack lots of activities’, ‘pack lots of snacks’ and ‘keep spare clothes in your hand luggage’, what else should you know? We’ve questioned experienced family travellers, travel agents and flight attendants to glean extra information that may help your trip run more smoothly. There’s lots to consider when planning a trip. 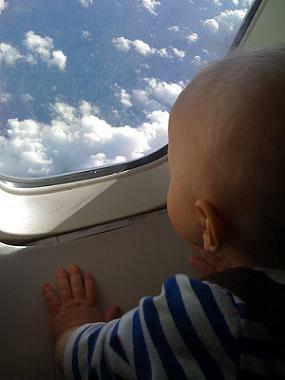 Whether flying a short or a long distance, factors such as changing time zones, trying to keep kids ‘in routine’ and direct flights versus stop-overs all need to be considered. When choosing an airline it is well worth checking out the information on their website about travelling with children. What’s provided (or more importantly, not provided) speaks volumes about how helpful the airline will be and how well they cater for kids. Different airlines have different rules for when a child must have a seat of their own (usually around two years of age). We flew from Melbourne to Broome with our twelve-month-old son. I was six months pregnant at the time so my son had to sit on my husband’s knee for six hours – it was tough going! If you’re not sure whether to book your child their own seat, see how long you can last with them on your lap in the armchair at home, then decide. Wish I had thought of that before our flight to Broome! Keep in mind that airport staff may request proof of date of birth for children and infants. Extracts or certified copies of birth certificates are acceptable, as are immunisation books. 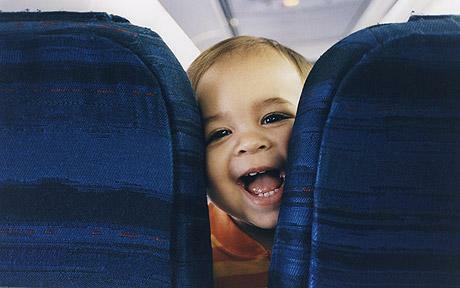 Many people do not know that car seats can be used on planes for children. Be aware that only certain types of seats are suitable and that most airlines require a car seat to be pre-approved for use as a child seat at least twenty-four hours before departure (generally, approval of car seats cannot be obtained on departure at the airport). It’s a good option if your child is comfortable sleeping in their car seat and also if you require a seat at your destination. However, the flipside is that you obviously have to book the child their own seat (regardless of age) and that once the car seat is ‘installed’ it cannot be moved. There are a number of ‘snap on wheels‘ available for car seats which are a bonus for moving around airports (a makeshift stroller). Do your research though – most snap on wheels are made for overseas markets and may or may not fit your car seat. If you want a four-point seatbelt but don’t want to take your car seat, consider a CARES harness (shown above). 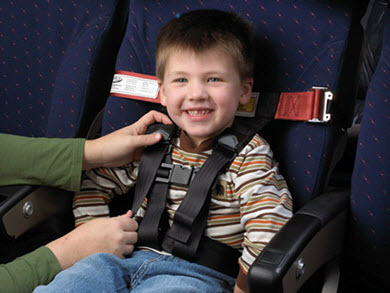 The Child Aviation Restraint System (CARES) is a pre-approved alternative to car seats on an aircraft. It’s suitable for children aged two to four years, weighing 10-20kg. Lastly, when it comes to booking your flights and if you are flying a long distance with another adult, consider booking seats apart from one another. This allows one adult to rest whilst the other entertains (or wrangles!) the children. Packing is a task that brings out extremes in people – are you an overpacker or an underpacker? I take the barest minimum but my husband packs for half the plane so somehow we usually end up about right. Either way, a good tip is to mix up your packing. Make sure each suitcase has some clothes for everyone travelling. That way, if one bag goes missing, everyone will still have something to wear for a few days whilst you are locating your luggage. When you are going on a holiday where you won’t be moving around a lot, pack all the nappies you’ll need for the trip, instead of buying them at your destination. This will not only stop you from overpacking, but it also means you’ll have quite a bit of space to bring back souvenirs. It seems our seasoned travellers all give the Trunki child’s suitcase the thumbs-up. Not only is it a manageable size for children, it is also a play thing that can be put to good use if you are filling in time at airports. Finally, when planning your trip, work out who’s doing what and who’s responsible for various tasks before you set off. I mean the nuts and bolts – who is doing nappy changes, who is keeping an eye on toddlers at the airport, who is looking after the tickets, who is nursing the baby and so on. The better prepared you are, the less stressful the experience will be. 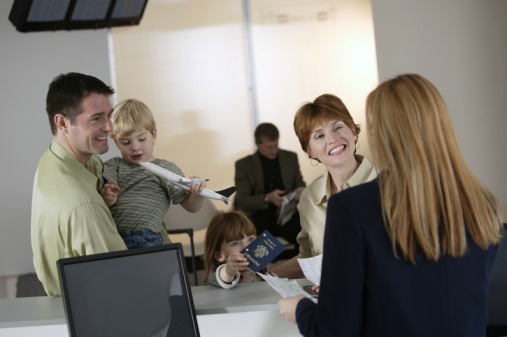 Allow plenty of time at the airport for check-in and connecting flights. Keep in mind that everyday tasks always take longer with kids in tow and the same applies to travel plans, with an added dose of stress! When you are checking in, always ask if the flight is full. Some assistants will block out the seat next to you in a less full flight or offer you the option of seating you next to a vacant seat. This is particularly good if travelling with a toddler without their own seat. Ask nicely for help and it’s usually forthcoming – those little airport jeeps that zoom passengers requiring assistance to the gate? Well, as parents with kids and bags all over the place, you may qualify for a ride – particularly good if you are travelling alone with kids. Strollers are available to borrow from most airlines to get you from check-in to the gate. If you intend to take your own stroller to the gate, get there well in advance. If you’re late and the luggage chute to the plane is closed, your stroller won’t be boarding the plane, leaving you with no pram at your destination. The earlier you board the plane, the better off you’ll be. Once the doors of the plane close, flight attendants can only do ‘safety related’ tasks so it’s too late for you to ask them to warm a bottle or organise your blankets. Travelling with a baby? Bassinettes are fitted on larger planes and can give parents a much needed break from nursing a baby and for the baby, it allows the opportunity to have a proper sleep. But there are a few things to keep in mind when requesting a bassinette. On a long flight, bassinettes are allocated from the youngest baby to the oldest so depending on how many babies are on your flight you may or may not get one. On domestic flights it’s near impossible to secure a bassinette – not because they don’t have them but because the row fitted with bassinettes is almost always reserved for frequent flyers who like extra leg room. If you’re on a long flight and have managed to secure a bassinette, keep in mind that the arm rests between the seats in this row do not go up (because they store the tray tables). So whilst your bub might get the opportunity to have a decent sleep, there will be no chance for you to lift the arm rests and stretch out across a few seats, particularly significant if you have kids with you as well. If you miss out on a bassinette there are a few things you can do to make your space more comfortable. Some parents swear by using white noise on an iPod to help kids get to sleep – no harm in trying if you have a temperamental sleeper! Likewise, the television screens built into the back of seats can be distracting, particularly if they don’t turn off. Bring some packing tape and secure a blanket over the screen while kids are sleeping. Seasoned family travellers tell us that one critical hand luggage item for long-haul flights is nose spray. Air-conditioning on a plane is incredibly dehydrating – no need to make it uncomfortable for kids as well. A standard saline nose spray for kids, available at chemists, will do the trick. Most airlines will provide special meals for children as well as baby food. However, these meals need to be booked at least forty-eight hours in advance. Be aware that if you miss your flight, you will also miss out on your specially requested meals. Bottle feeding a baby? Know that it takes flight attendants approximately five minutes to warm a bottle (it’s done with hot water, not in a microwave). Therefore, anticipate your baby’s meal times and ask in advance for the bottle to be warmed – there’s no joy for anyone if you wait until your baby is screaming for their bottle! Also note that you are better to feed your baby well before or well after the meal service. Again, the flight attendants are busy serving everyone on the plane at one time and organising a bottle then may be tricky. Everyone will tell you to pack lots of activities, snacks and toys for kids. I won’t argue with that but here are a couple of little extra things to think about. Firstly, take balloons. They are the ultimate lightweight, fun and disposable toy. Although not necessarily appropriate for batting around mid-flight, balloons are a winner when you are waiting around at airports. Buy some kid headphones or bring along the ones your child likes to use. Ear-buds, provided on most planes, aren’t always comfortable for children and you don’t want them missing out on in-flight entertainment. The compact book Around the World in 80 Ways is packed with fun activities for little travellers. Most of the activities don’t require anything but imagination and it’s certainly good to know a few games other than ‘I Spy’ which gets a little tedious in the confines of an aircraft cabin. I like the game ‘In-flight Magazine Treasure Hunt’ – devise a super-long list of items for the kids to hunt down in those glossy in-flight magazines and it can have them going for hours. One of my friends is still mentally scarred by a five hour flight she endured with her two children. The moment they boarded the plane, her three-year-old vomited everywhere. She had clean clothes for the child but not for herself and spent the next few hours simultaneously gagging and picking bits of sick out of her hair. So yes, there’s good reason why all the family travel tips list the importance of bringing spare clothes – for everyone. If you’re travelling with a baby and need a nappy change, don’t do it on the seat. Apart from the fact that it is unhygienic (for other passengers! ), it is also not safe. Aircraft toilets are fitted with change tables and you should feel free to ask a flight attendant to get the table set up for you (give them your change mat, nappy and anything else you’ll need) so that you’re not juggling your baby in a cramped space. Keep in mind that there’s no such thing as packing too many wipes. Also handy is a wet face washer in a snap-lock bag – it’s more absorbent than wipes and can be used over and over. The old saying “expect the worst, get the best” is a good way to approach flights with children. 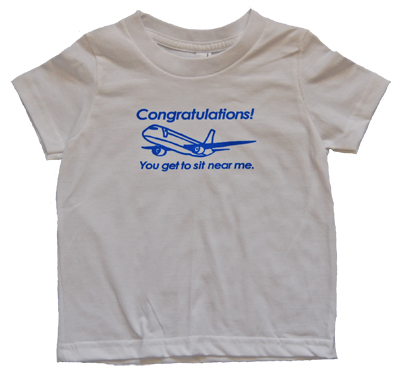 Keep your sense of humour – the baby t-shirt with the slogan ‘Congratulations! You get to sit near me‘ is a good example of how to keep the fun in the adventure (it’s also available as a onesie). Treat any time to relax as a bonus. Wipes – did I mention wipes? Bring lots of them. Ignore rude people and don’t waste energy getting upset by them. Lastly (and most importantly) this advice to parents from a flight attendant who has clocked up thousands of flights with crying babies and children – “You’ll never see these people again and they’ll get over it”.